My old man always said that if you are going to do something crazy, do it right...wait...that's not what he said. He said if you can't be smart, be colorful. Which brings us to this next car, which is one of the nicest examples of a slushbox equipped Ford Pinto that you'll ever see. Colorful, indeed. 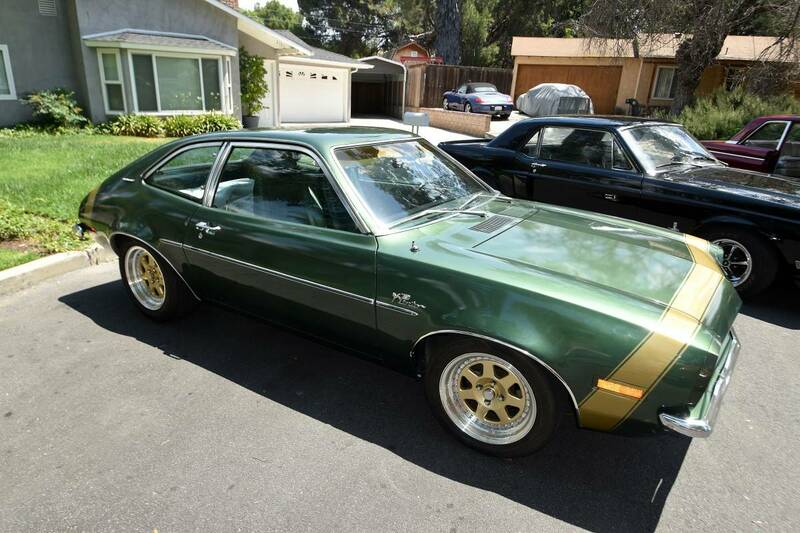 Find this 1971 Ford Pinto offered for $5,900 in Thousand Oaks, CA via craigslist. Tip from Sean S.
Ford introduced their baby-pony Pinto for the 1971 model year, and while it might have shared a horse themed name with the Mustang, it was put together as cheaply as possible to keep the bean counters at Ford Corporate flush with cash from their bonuses. Unfortunately, this meant the subcompact didn't have the best quality record and has become the subject of many jokes (and unfortunate accidents) about exploding gas tanks...but those problems should have worked themselves out by now and you should get miles of motoring pleasure out of this thing...if you can ignore the fact that it is a Pinto. 1971 Ford Pinto Very clean fine example of the Ford Pinto. 2.0 Auto. Rare small back window hatchback. I have owned for 6 yrs. at least. Fresh paint, fresh wheels new tires. engine campartment was completly dissasembeled and painted. 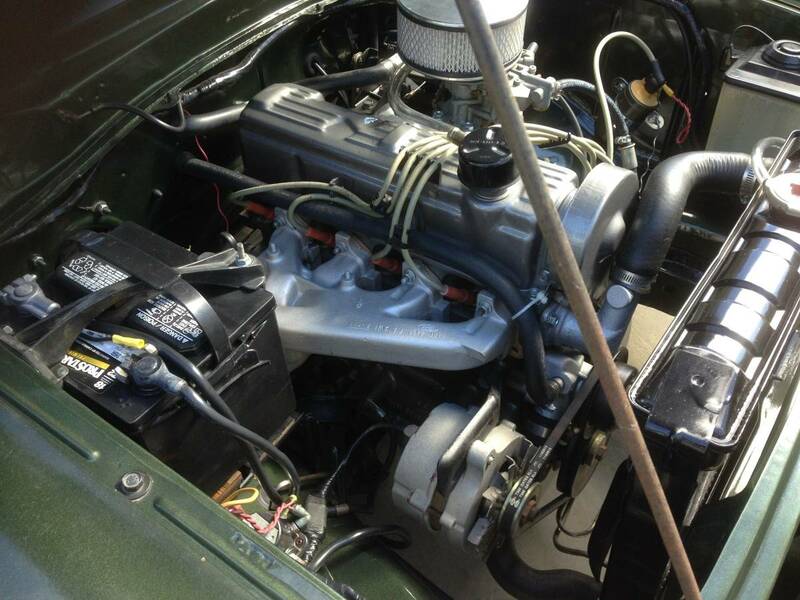 The detailed engine is in great shape. Fresh headgasket and all engine gaskets as well as new valve stem seals. New radiator, carburator, alternator and fresh trans fluid and brake fluid. New brake hoses, rear wheel cylinders, front pads rear shoes and fresh wheel bearing pack. The interior is clean and in great shape with the dealer added clock and mini consolette. I have bought 3 cars and a chopper in the last year and I am out of room. The one picture is not a carshow...they are all mine. 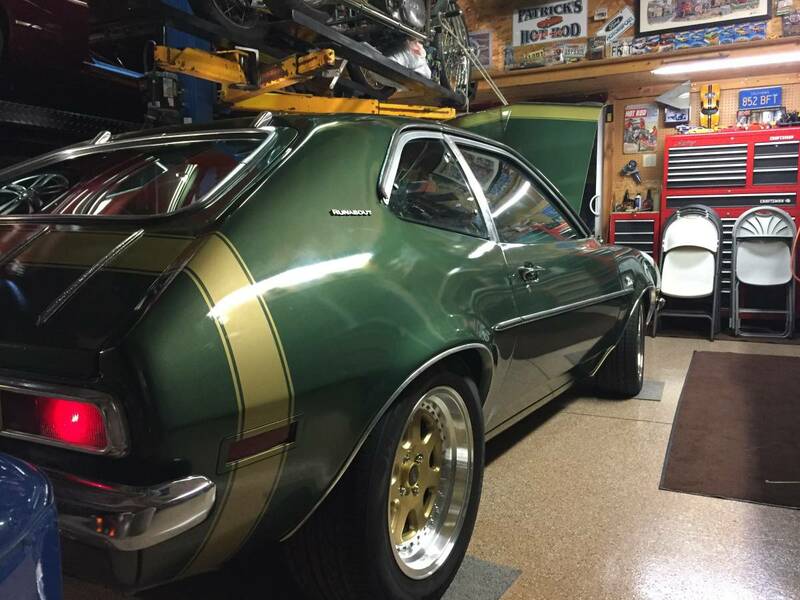 I am crazy about this Pinto and I am sure I will regret selling it. The seller looks to have some nice rides and from what I can see, I dig his garage to boot. Not sure I've ever seen a turd this polished before. That's a pretty apt description. Looks like he ceramic coated the stock manifold! How hard can it be to swap in a 2.3 Mustang's 5 speed? I bet it would be a fun throwback. There is something pretty wonderful driving an old car with manual everything and the weight of an SUV's dashboard. Central locking? ABS? Electric windows? AC? It is amazing how those concerns melt with the elemental connection between you, the car and the road. This one would be much more fun with the motor hopped up. These OHC Pinto motors can put out some impressive HP. And for $2500 I would be tempted. Cars that I thought were so lame in high school I like now. Mavericks, Pintos, Vega all cool to me now. I think it is because there are so many ugly cars that have been created since then. Agreed at a lower price point. Even with no motor swap, there is some nostalgic cruising that could be had and I doubt you'd find a cleaning one out there. With all the work he did making it look good, one would hope a little kick was added to the dated 4-banger, but nothing was mentioned. I went back to double-check, but the post was deleted so hopefully it found a good home.